Roulette has grown in so much popularity that there have been a lot of systems devised by players who are looking for ways to beat this game. Among the most popular systems include the Martingale, the Labouchere and the Fibonacci roulette system. Roulette is all about choosing the slot where the ball will land after it spins on a wheel. If you make the right bet, you will win. The rules are fairly easy, making it a favorite. Even those who just started to play this game will not be lost as to how it is played. The croupier’s call signals the beginning of a bet and when all bets are no longer accepted, he announces such too by saying “no more bets”. Every day, many people place bets on a roulette table and win or lose money. Lucky winners could make profitable bets while those who are not too lucky lose money on the game. How Predictable is a Roulette Wheel? Each roulette wheel will come up with a random result. With the development in technology, wheel manufacturers make sure that their wheels are harder to beat. Although the game of roulette is different than what it was say five decades back, it is not too different from the game of roulette from 6 to 8 years back. However, this does not mean that it is very easy to predict the movement of a roulette wheel. In fact, a player needs to spend hours on a certain wheel to get a firm idea of what the results would be. Spending time on the roulette wheels put much pressure to players and some find it as too much trouble. Professional players spend about 20 hours of their time on the wheels. Even with a roulette computer, players still need to devote around 4 hours of their time on a particular wheel. However, even with this amount of time that is spent on the roulette wheel, the player can only overcome the house edge. He is not a hundred percent sure that he will beat the game. People who might feel too bored about understanding how the wheel behaves would opt to use other systems such as the Fibonacci roulette system that relies on changing the betting amount depending on the most recent result. What Makes The Fibonacci Roulette System Interesting? Fibonacci is a popular sequence in Mathematics that comes with a wide array of applications. However, the sequence attracted the attention of many players who saw it as a good strategy that can be used in gambling. Out of all its applications, roulette happens to be one of the most popular, making it a hit among many gamblers. 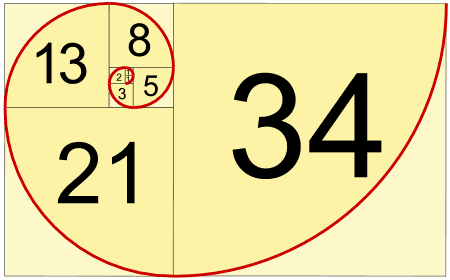 The series of numbers are called Fibonacci sequence. In applying the Fibonacci roulette system, you need to follow the sequence of the numbers. You start with a bet of one and make your way through the sequence. If you lose, you have to continue to the next number in the sequence but if you win, you have to change your bet two numbers back from your current betting amount. The bets made by the player after a loss follows the next number in the sequence but in Martingale, the amount is doubled. The game does not end when the player wins, the bets just decrease in Fibonacci. The Fibonacci system is safer than the Martingale as the player would not lose a lot of money as the betting amount is limited to the numbers that can be found in the sequence. Every player knows that a losing streak is highly possible in roulette even if you are using a system. Although there is a mathematical concept behind the Fibonacci strategy, it does not make the odds more favorable to the player. In fact, the probabilities of a number coming up remain the same although the player can change the way he bets on roulette to decrease his losses. The player is still in a perilous position eve with this strategy in place, so it is vital to set a stop loss limit. Professional players know how addictive roulette can be and the thirst for winning can mess up with a player’s judgment, so a limit is always advocated. Roulette is getting really popular these days and with so many systems purporting to be the ultimate method for beating the game, it’s hard to truly accept these claims at face value without testing the systems. The Fibonacci system which is among the hottest strategies has its pros and cons but the verdict is that this technique does not increase the player’s chances of winning. It merely follows what is known to be a natural pattern. Hence, using it with other strategies that could beat the house might be a good idea. See how to win at roulette for details on the best roulette systems. Most of the systems are provided on this site completely free.